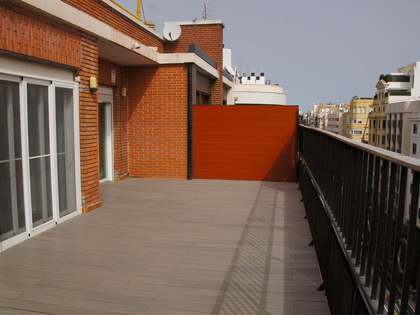 Rent available on request Penthouse For rent Available now! 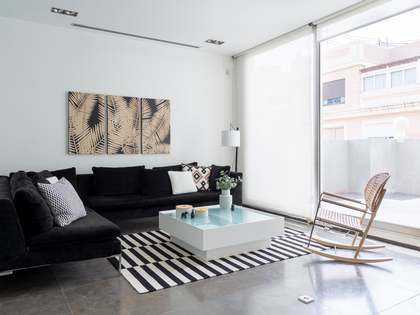 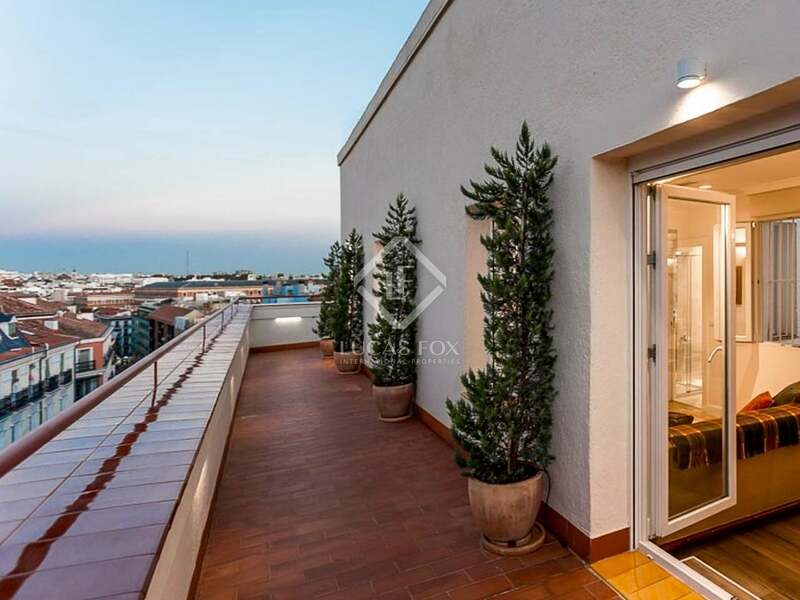 Spectacular 2-bedroom penthouse, furnished and with a 35m² terrace, for rent in the heart of Madrid’s Justicia neighbourhood. 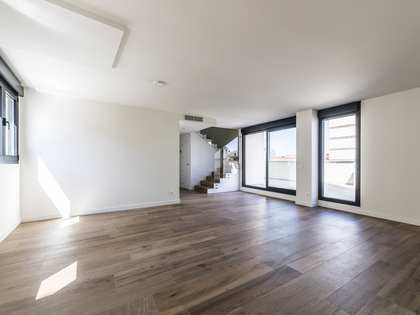 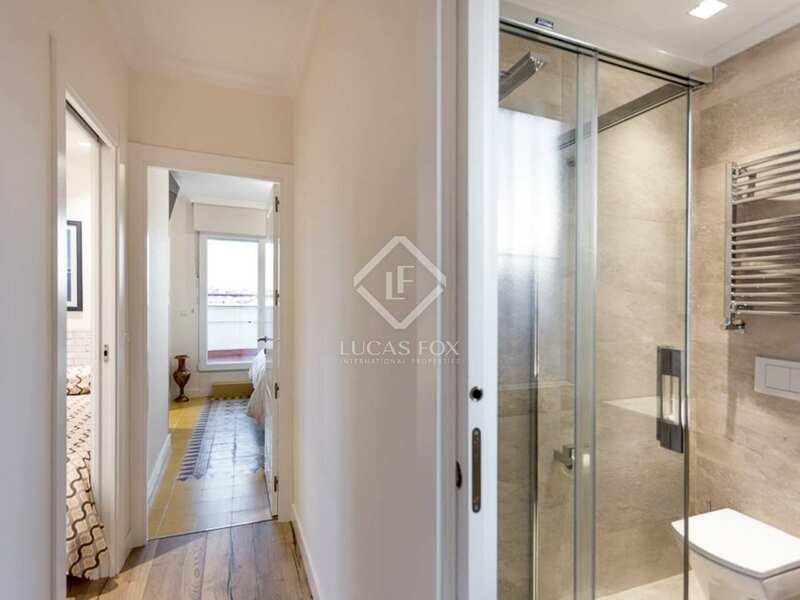 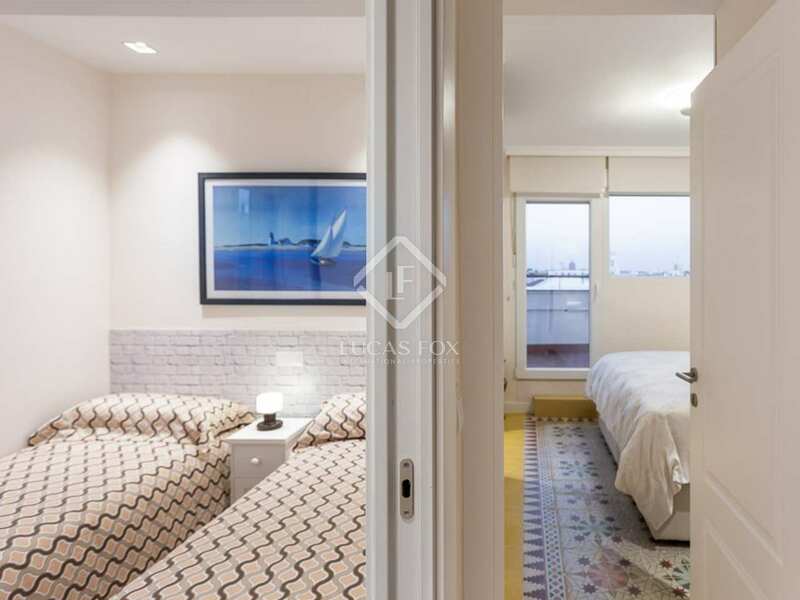 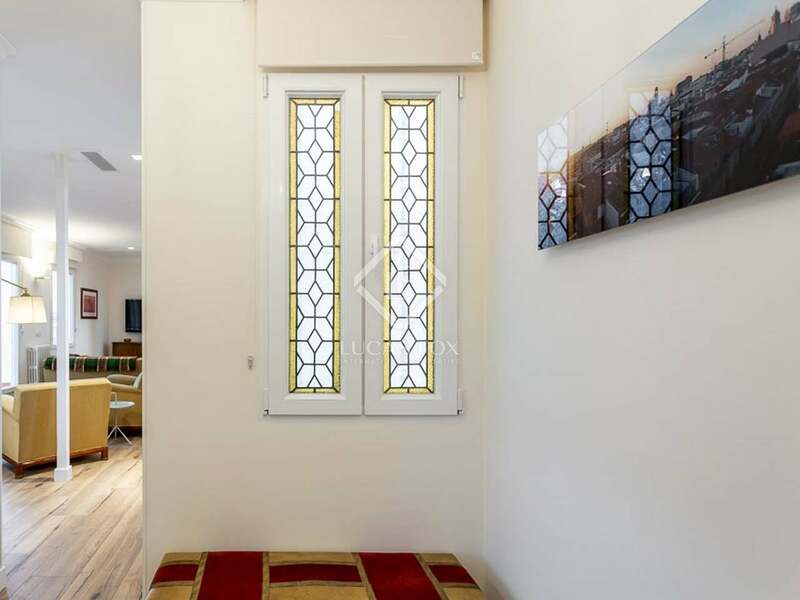 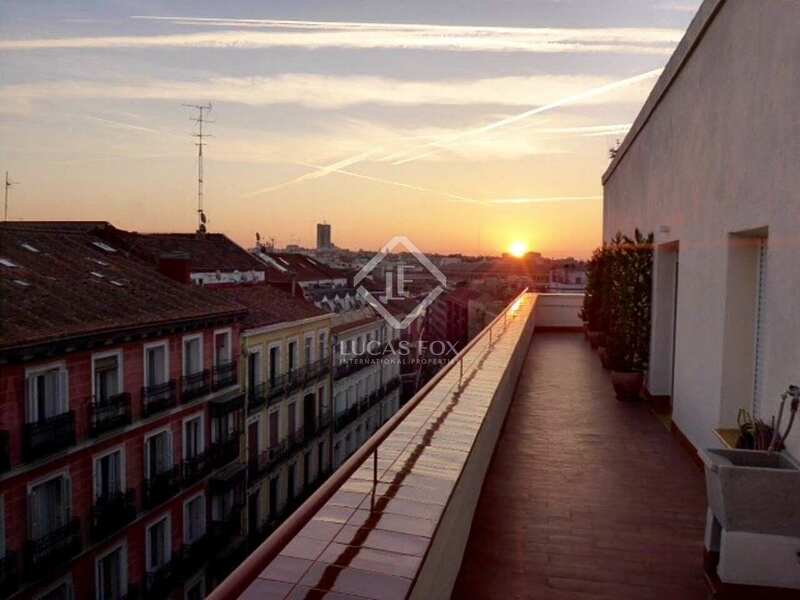 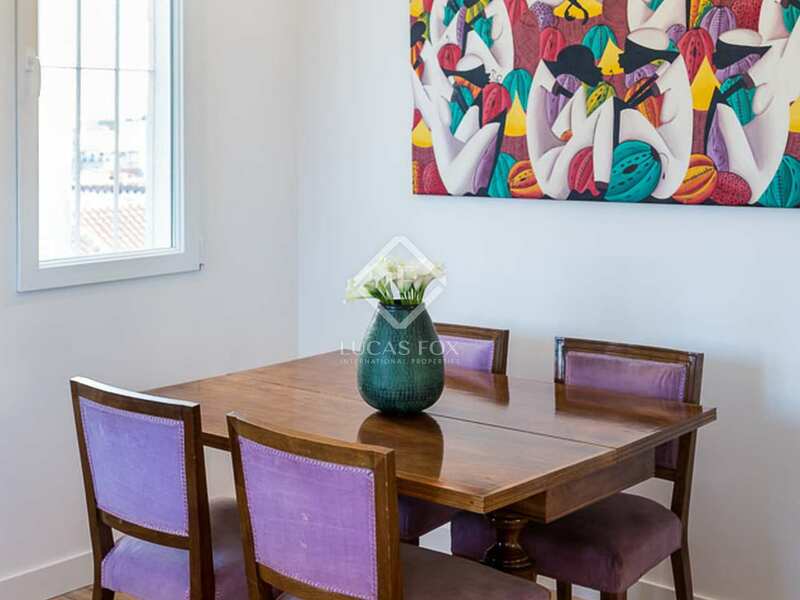 Just 5 minutes from Gran via and Paseo de Recoletos, this spectacular penthouse with a terrace is for rent in the very heart of Madrid's Justicia neighbourhood. 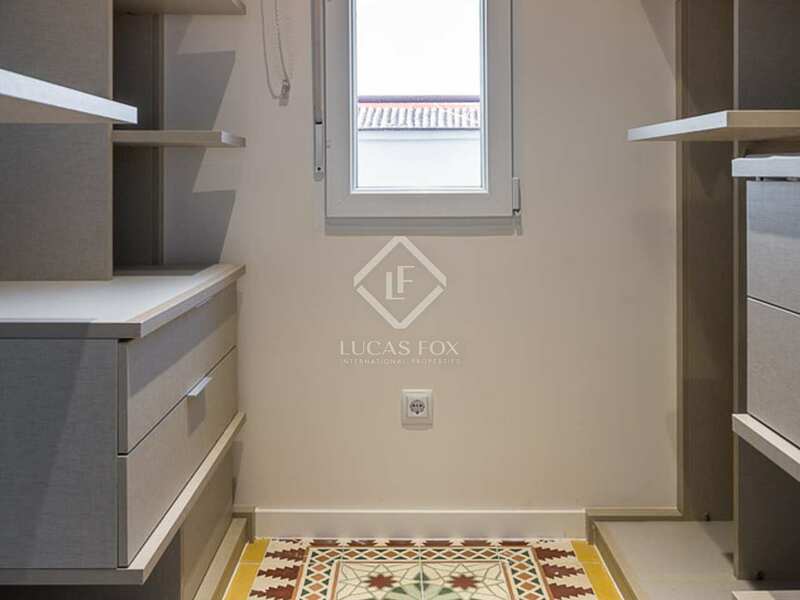 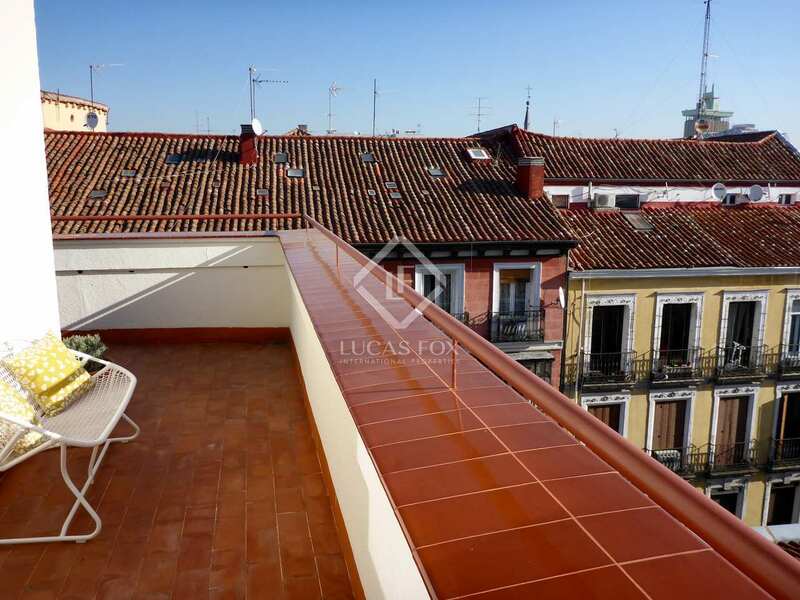 Recently renovated, this unique penthouse has an impressive terrace with three orientations and is presented in excellent condition with original tiled flooring in the main bedroom and quality interior and exterior carpentry. 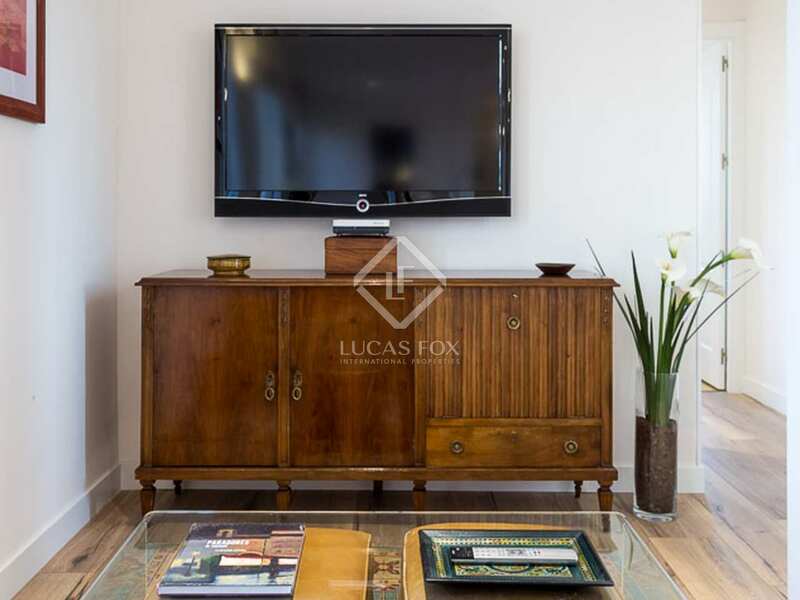 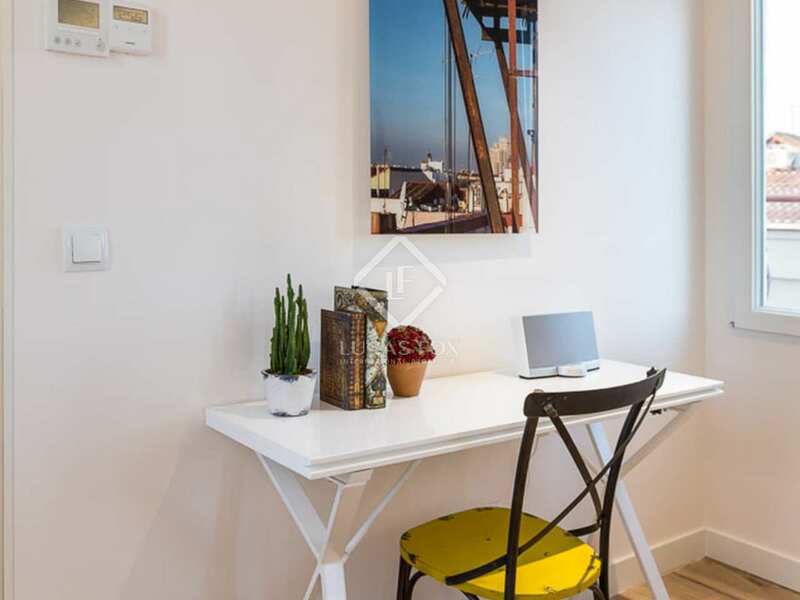 The apartment is furnished with exclusive vintage furniture and is tastefully decorated with signature photography in addition to a variety of decorative elements. 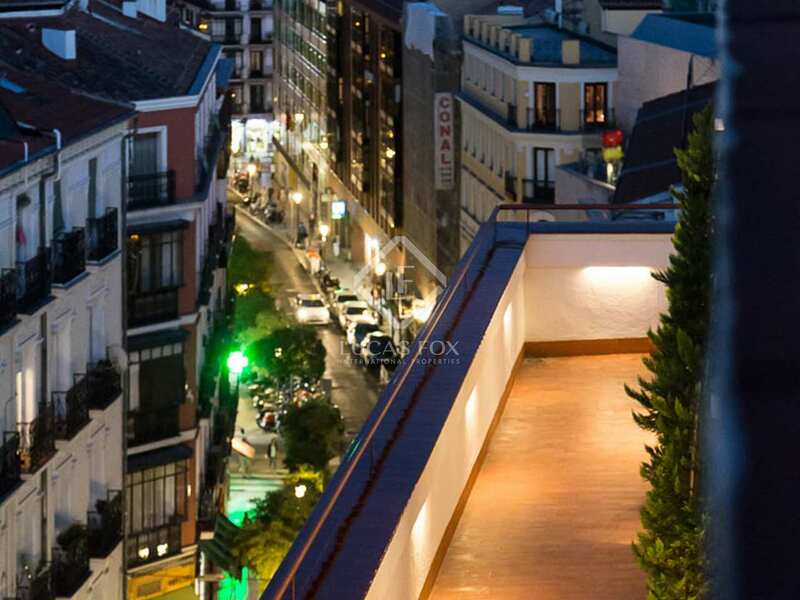 The penthouse is within a modern building with a lift. 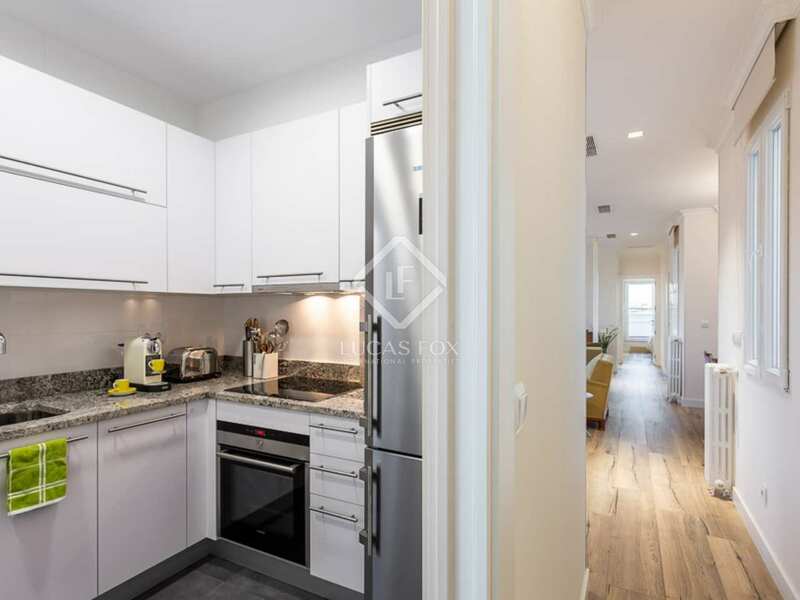 To the left of the entrance we find the kitchen fully fitted with high-end electrical appliances, with kitchenware included and a table for everyday use. 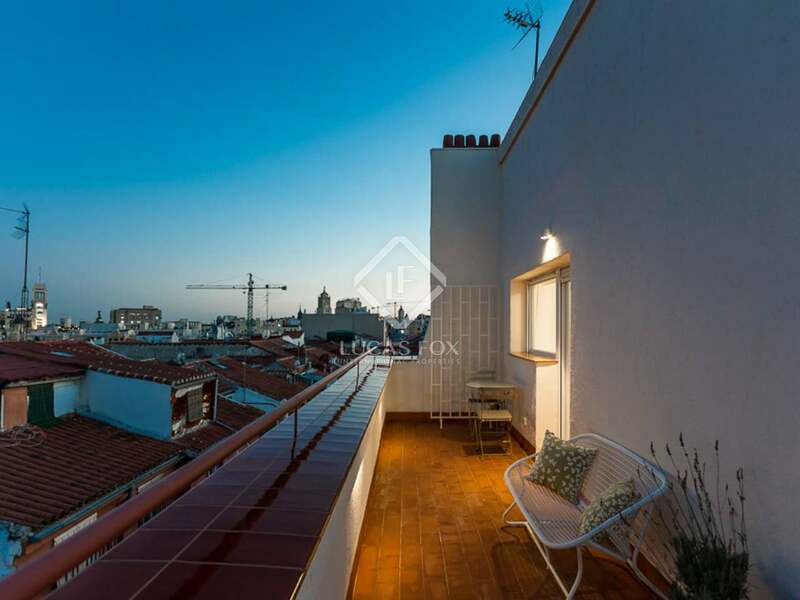 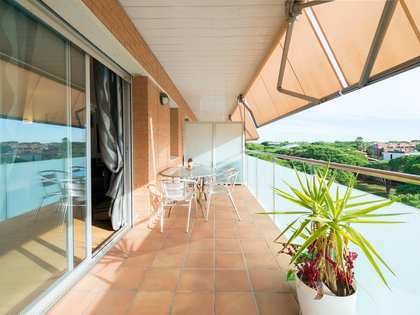 With access to the 35m² terrace, the kitchen is very bright. 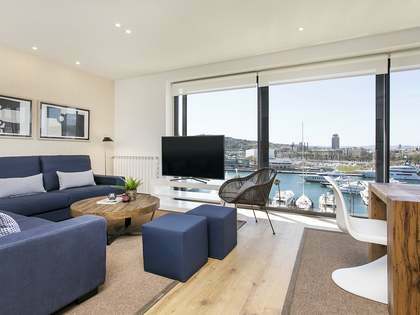 At the centre of the penthouse there is an open space made up of a lounge, workspace with a desk, reading area, TV and relaxation area and a space for dining. 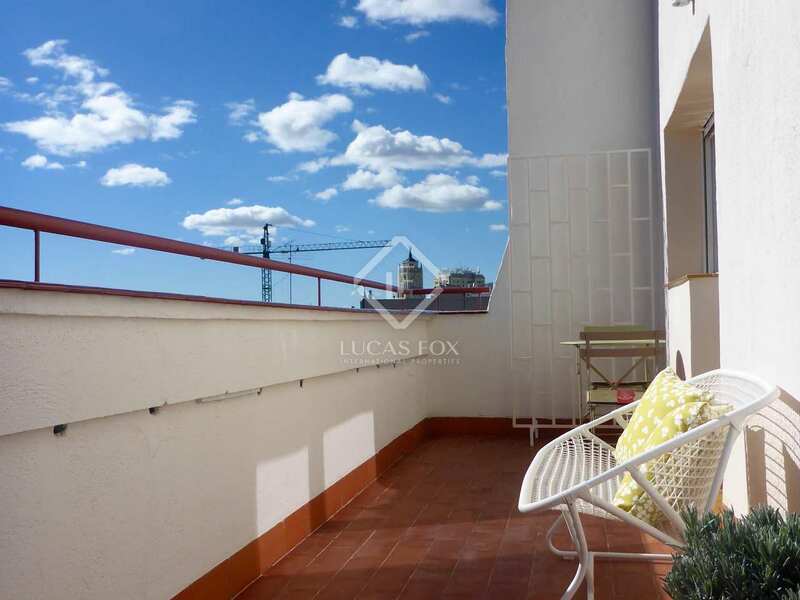 Opening onto the magnificent, sunny terrace, there is abundant natural light and from it one of city's most iconic views can be enjoyed. 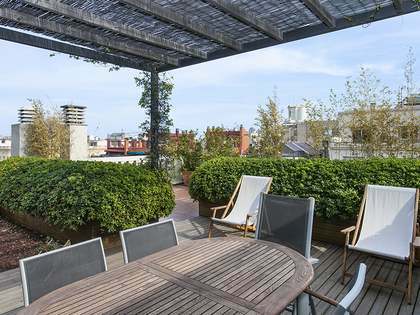 The terrace, which wraps around 3 sides of the penthouse, is equipped with outdoor furniture allowing you to make the most of this fantastic terrace. 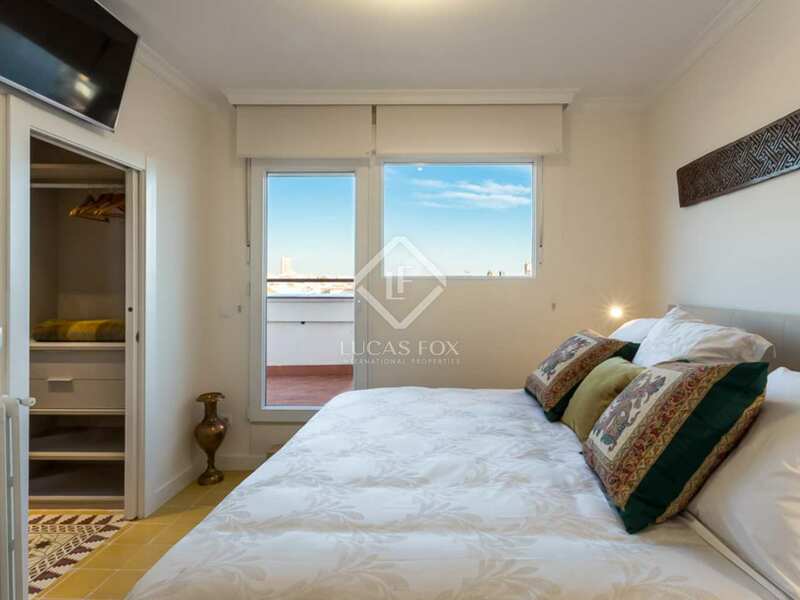 The property has 2 bedrooms, one of which has 2 single beds, with plenty of storage. The main bedroom has an ensuite bathroom, dressing room and access to the terrace. 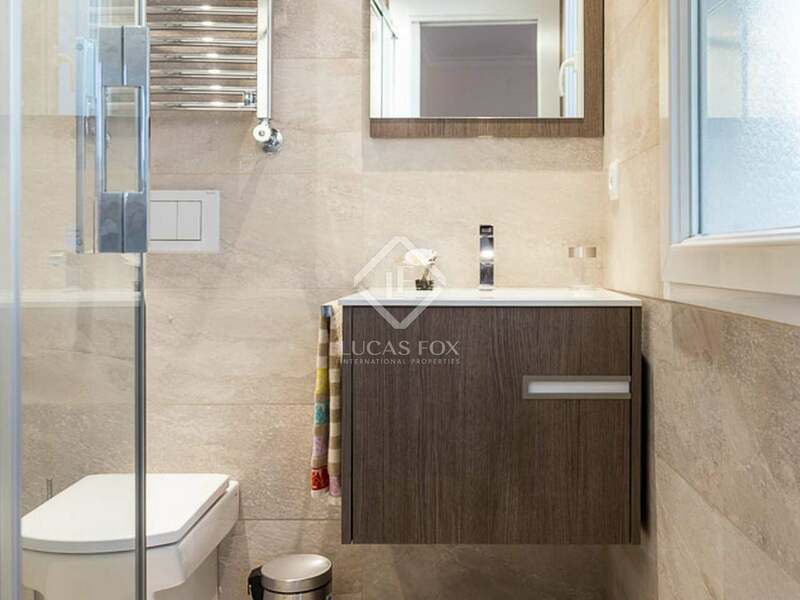 A second bathroom completes the apartment. 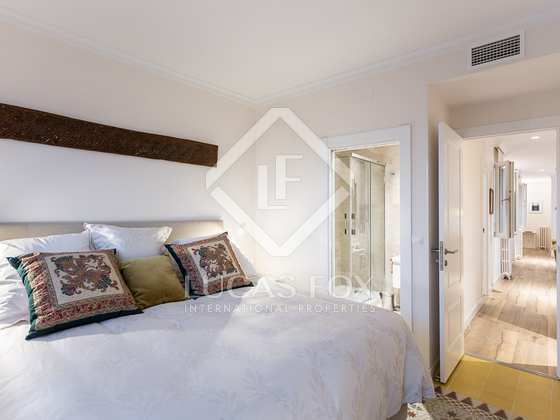 Further notable features include a safe and independant air conditioning and heating systems. 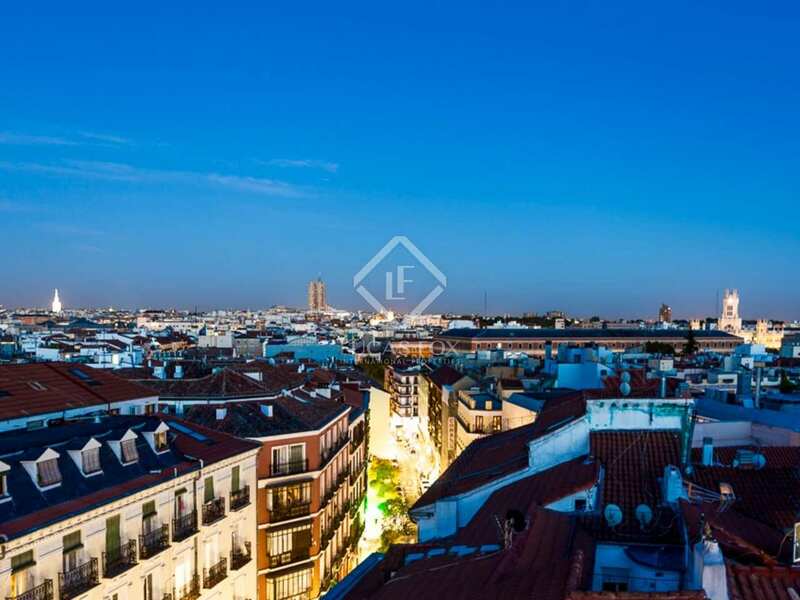 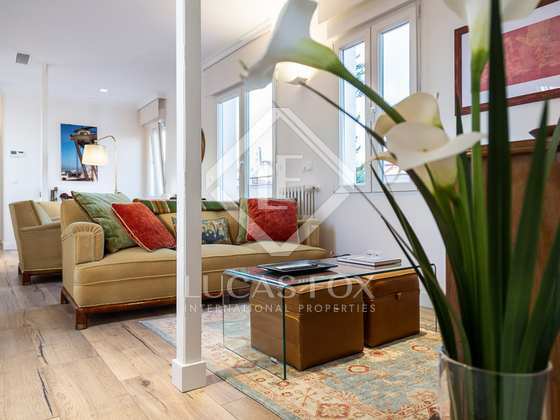 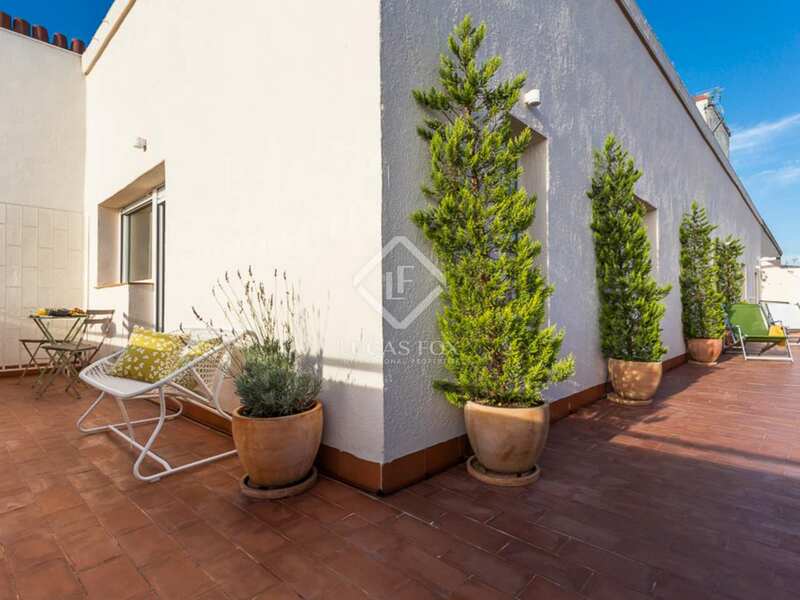 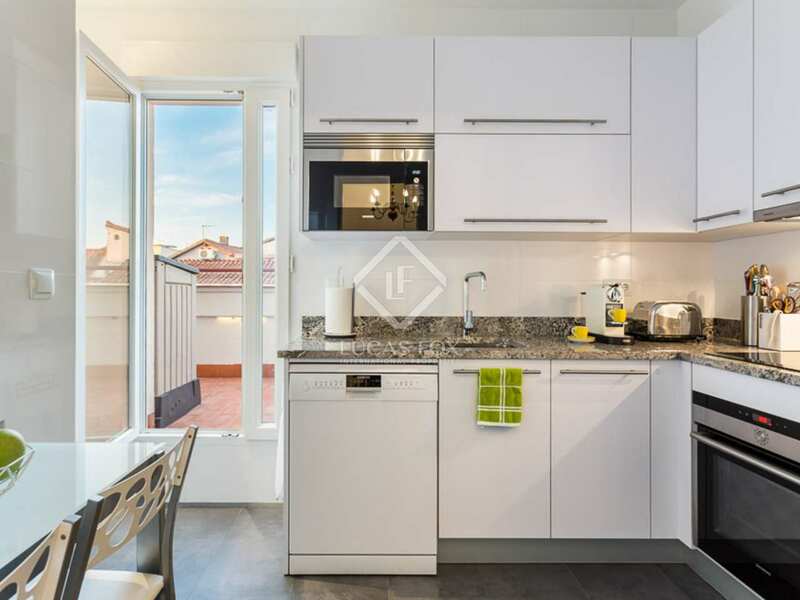 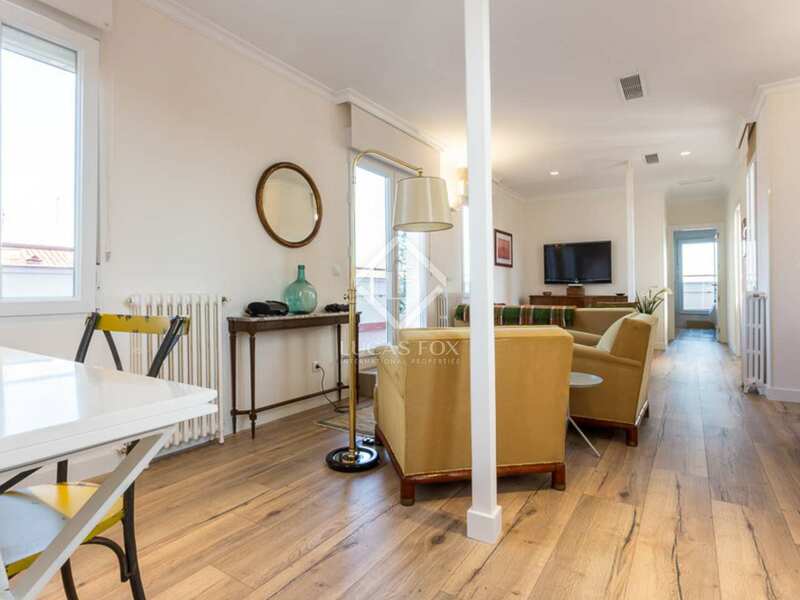 This exclusive penthouse offers the opportunity to live in the very heart of the city yet at the same time enjoy the privacy of a privileged position amongst the rooftops of central Madrid. 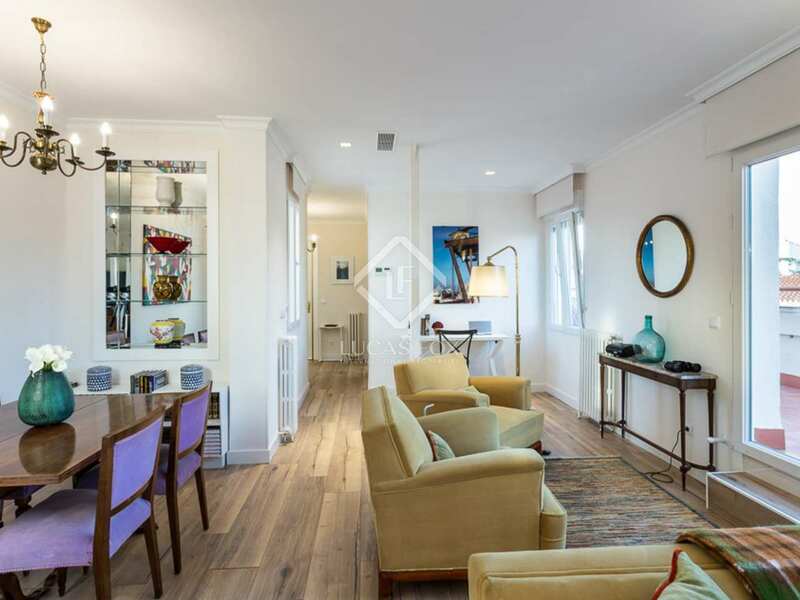 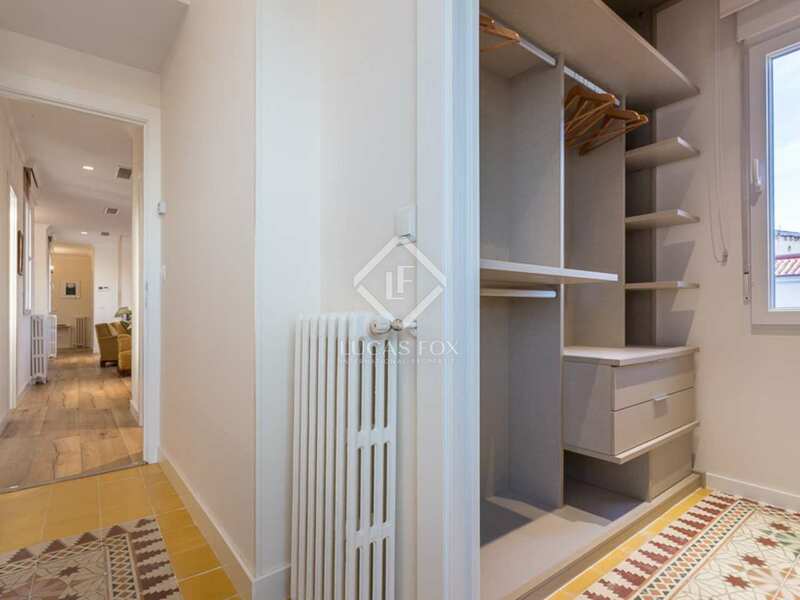 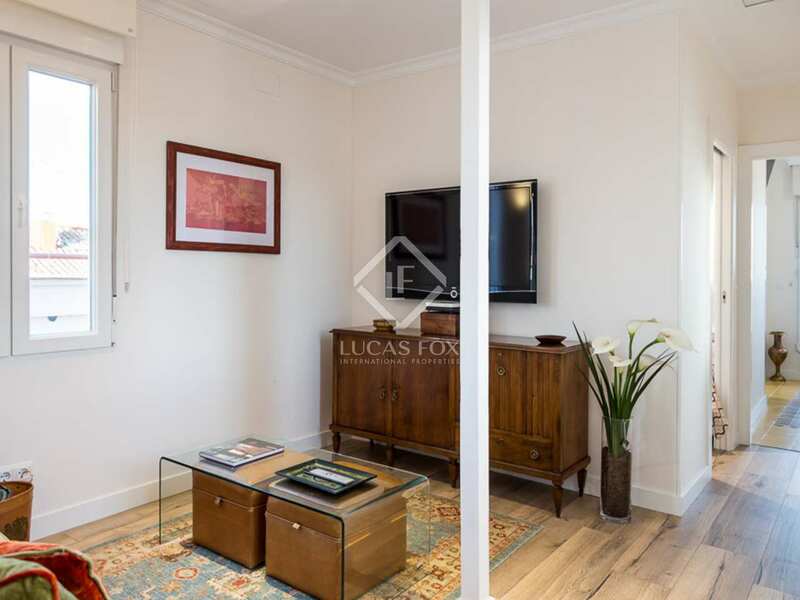 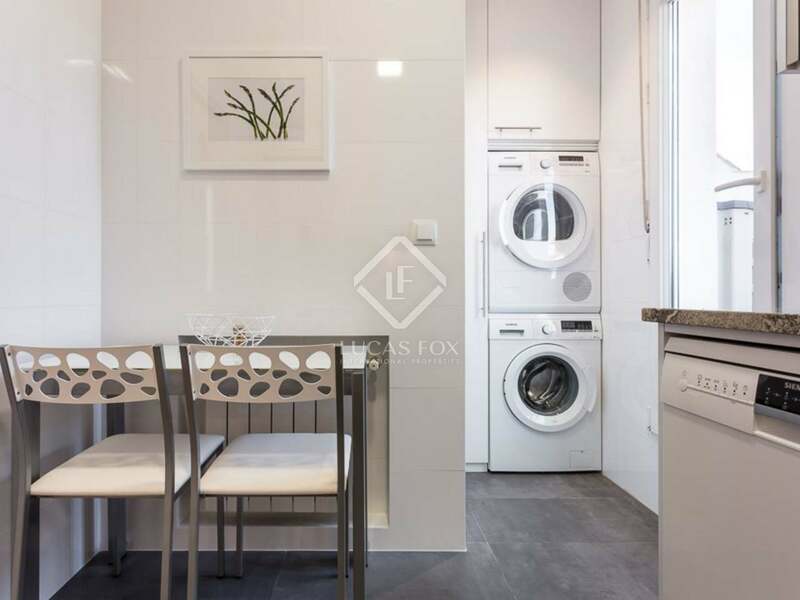 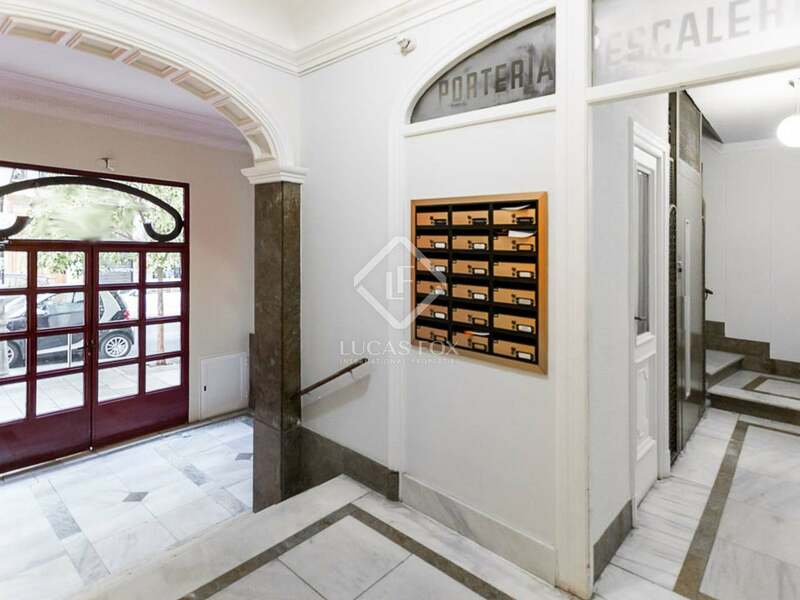 Property very well located in Madrid's Justicia neighbourhood, 5 minutes from Gran Via and Paseo de Recoletos. 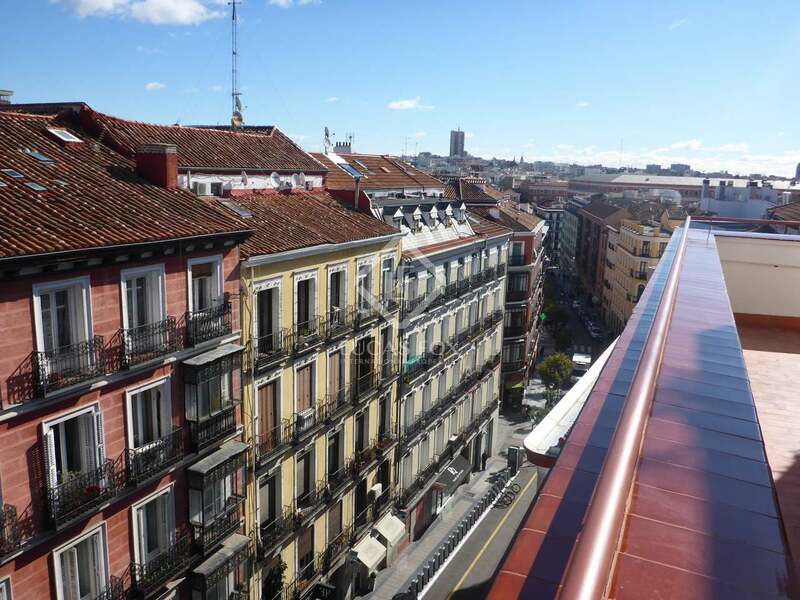 There are excellent public transport connections to the rest of the city and a number of parking areas close by.